Not all great movies are blockbuster hits. Unfortunately, many really good films slip through the cracks and get forgotten about. This decade of cinema is remembered for big names like The Lord of the Rings trilogy and The Dark Knight, but what about the underdogs? You can forget the popcorn with the list you’re about to read because none of my choices are crowd-pleasers. These are some of the best films of the 2000s, that you generally never hear about and may have missed. What better way is there to view humanity than through the lens of a camera? One Hour Photo is another one of Robin Williams’ smaller films and further proof that he was actually much more effective in dramas. He gets rid of his funny persona completely, with his portrayal of Sy Parrish, a lonely misfit who works as a photo developer at a local super store. Casual shoppers don’t take much notice of Sy, the man at the photo counter. He takes your films and has the photos ready in one hour or less. His favourite customers are the Yorkins family, who he has served for years. Sy comes across as cheerful and friendly initially, but you soon see that he’s actually quite messed up. He becomes obsessed with the Yorkins, but he doesn’t want to harm them, he just genuinely wants to be apart of their family. I found One Hour Photo to be extremely gripping and tense. The originality, mystery and uncertainty will keep you glued to your seat. Williams also played a very similar character in Christoper Nolan’s Insomnia, which came out that same year. I’m a big fan of psychological thrillers! If you are too, then you need to watch Identity, if you haven’t already. I have seen this film twice now and both times I thought it was excellent. It’s about ten strangers who get stranded in a deserted motel. After they get to know each other, they realise someone is trying to kill them all off, one by one. Identity starts off as a classic “whodunnit”, where everyone is under suspicion. It’s a guessing game for the viewer until the big twist is revealed and trust me, it’s a real shocker. It flips the whole film on its head and it becomes something else entirely. It’s a clever, impressive movie that deserves a lot more recognition. It only holds a 62% on Rotten Tomatoes, which I think is far too low. The cast and direction are brilliant. Each character is played extremely well by actors like John Cusack and Ray Liotta. Also, this film requires a high degree of concentration to be able to follow what’s going on. It’s not an easy watch in the traditional sense, but one that’s very enjoyable. For some reason, no one ever brings up Zodiac in general movie conversation. It wasn’t a huge box office success, so that’s likely the main reason it seems to be hidden. But it shouldn’t be because I see it as a modern classic. It’s a mystery crime-thriller, telling the story of the real-life manhunt for the notorious Zodiac killer in San Francisco, during the late 1960s and early 1970s. Jake Gyllenhaal plays Robert Graysmith, a cartoonist who becomes obsessed with tracking down the killer. The case fascinates him more than it should and he becomes a sort of DIY detective, carrying out his own personal investigation. Zodiac is not your traditional serial killer thriller. It’s more interested in the documented investigation, that includes creepy letters sent to the police from the killer and countless blind alleys. 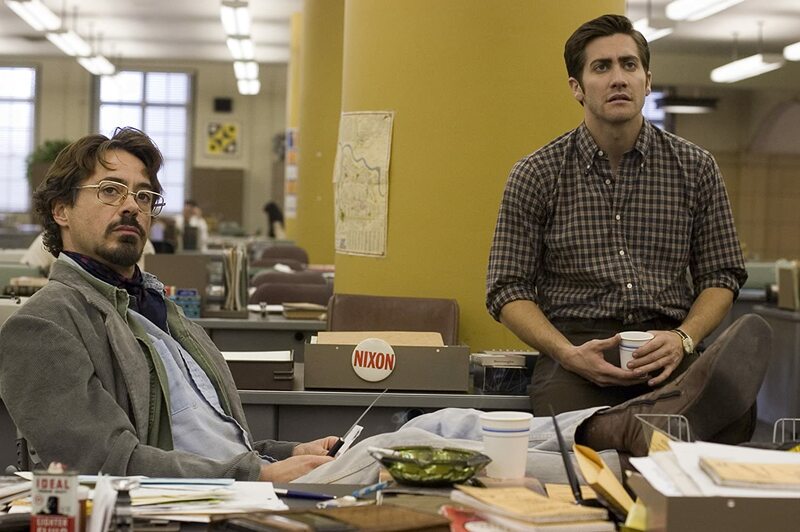 Zodiac very slowly pulls you into the story and the rambling narrative is constantly engaging. Throw in great performances by Gyllenhaal, Mark Ruffalo and Robert Downey Jr., and you get one of the most gripping films of the 2000s. The Assassination of Jesse James by the Coward Robert Ford is a mouthful to say aloud, but it delivers on every level. It’s criminally underrated, but I guess a western with little action was a hard sell to general audiences. I mean, most people would rather watch Transformers, wouldn’t they? Sad state of affairs. If you love epic and stylish movies, then Jesse James is the film for you. It centres on the relationship between Robert Ford (Casey Affleck) and Jesse James (Brad Pitt), leading up to the titular assassination. When we first meet Ford, he idolises Jesse James, a gang leader, like a comic-book hero. But over time, he starts to resent the famous outlaw and we see their deep inner conflicts and emotions. Expect a technically impressive film, that gets the perfect balance between cinematic style and narrative. It’s a movie that more or less tells you the whole story in the title, but it still turns out to be really damn great. Very few films are as powerful and unflinching as Hunger. 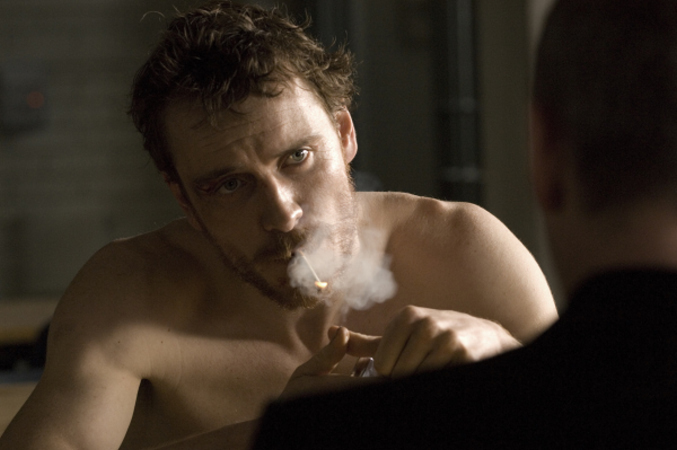 It was directed by Steve McQueen, who was behind 12 Years A Slave, which also featured Michael Fassbender. Hunger is about the 1981 Irish hunger strike and it captures the hardships of the Irish Republican prisoners, who started a protest against the British Government, to win back their political status. This film is straight to the point and it never beats around the bush. We follow Bobby Sands (Fassbender), a character we neither like or hate. At times, the film moves at snail’s pace, but every scene is masterfully rendered. There are many gut-wrenching scenes and to be honest, Hunger is rather depressing to watch, but it’s an artful piece of filmmaking. Yeah, I wouldn’t watch it again, because of how dark and moving it gets, but I highly recommend it to anyone who hasn’t seen it. This is a film with its own personality and vision. It’s a brilliant stroke by McQueen. You may not agree with every film on this list, but my aim is to give a few ideas for what to watch next. There are loads of great films that weren’t commercial successes, that no one talks about, many of which I have reviewed already on this blog. So, if there are any other underrated classics you think more people should watch, let me know in the comments below! These are great suggestions! I often think of Short Term 12 when the topic of underrated movies comes up. I think we’ve talked about it before? The writer/director has a new film being released in the states next month called The Glass Castle. It also stars Brie Larson- I hope to check it out. Thanks. Yeah I think we spoke about it. I saw the trailer for The Glass Castle, it looks good, so I’ll look out for it.